We are honored to share the healing gifts of Yoga with you. If your new to yoga or a life long practitioner, we have the perfect class for you. CC charges add $2.00 (Sorry but that is what I am charged) Cash or checks work best!! If you are new to Yoga, we know you might have a bunch of questions. Please feel free to contact us with any questions or concerns you may have. We are a small studio, and are dedicated to helping you get ALL of the benefits of Yoga. Wear comfy clothing. Tee shirts and sweats are great. Its warm in the studio, but you might want a sweatshirt too. Don't worry if you don't have a Yoga Mat, we have Manduka Mats that you are welcome to borrow. We do advise that you do purchase a mat once you know you love Yoga. (We sell Manduka mats and props at O2). Bring your earth sustaining water bottle full of water. We go barefoot in the studio. All of our classes include breath awareness (pranayama) asana (postures) and Meditation. Our standard classes are 1 hour 15 minutes. We have three one hour classes on the schedule marked with an *. These classes are complete classes also. There is no need to reserve your class. We ALWAYS have space and welcome you whole heartedly! All of the teachers at O2 are practicing yoginis, passionate practitioners of yoga and meditation. We each bring our unique style to our students. We love yoga! We believe in its ability to help you breath deeper, move with more comfort and ease, improve balance and strength and help to calm and focus the mind. Keri is the director of O2 Yoga & Wellness. She has taught Yoga & Meditation nationally and internationally for more then 20 years. Her group classes are therapeutic, and alignment based, with energy and yoga philosophy sprinkled in. Jennie is a creative movement master. Her classes are filled with love & rhythm, mixed with a whole lot of fun. You will leave her class feeling alive in body, mind, and spirit. Taylor's love of eastern religions, philosophy, martial arts, and dance developed early on. She began meditating at age sixteen. Thirteen years later, yoga finally found her. In January of 2011, after her first Yoga class at O2, Taylor arose from Savasana and stepped onto the path that would lead her to a career as a yoga teacher. After two years under the kind tutelage of Keri Sheerin, Taylor earned her 200 hour yoga teacher certification in 2013 while studying with L.A. based yoga teacher and YOGAMAZE founder, Noah Maze. She then dove right into teaching. Her classes are a lesson in duality: intense and grounded, poignant and playful. She believes that everyone is constantly changing and evolving ,and, so too, should your yoga practice. She has since expanded into new styles of yoga and other alternative therapies. When a foot injury in 2015 kept Taylor from her regular practice, Yin Yoga became her comfort. In early 2016, she received her Yin Yoga certification from Debra Daly at Yoga Toes Studio in Point Reyes, CA. In 2017, she completed an advanced teacher training intensive with world renowned yoga teacher Schuyler Grant at Wanderlust Hollywood. 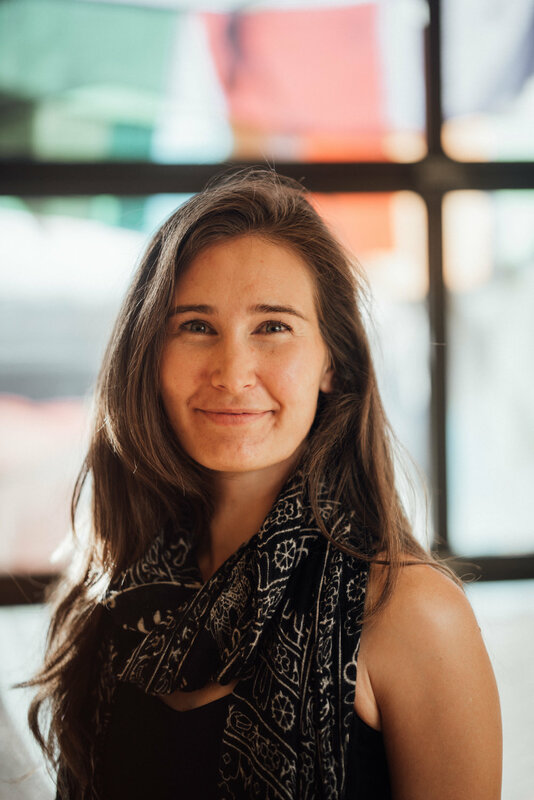 Most recently, Taylor finished her studies with the Vibrational Sound Association to become certified as a Vibrational Sound Therapist Practitioner. She now offers one-on-one sound therapy sessions at O2.